To complete a stay full of experience, we propose to you to live a relaxing moment. 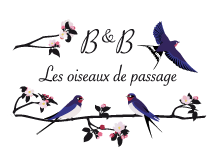 Marie-Ange GUILBERT, a beautician and certified massage therapist (“brevet de maîtrise niveau 3”) of Isigny-sur-mer, will offer the best spa treatments in our dedicated massage room. Many Skin cares, body treatments and massages are available to you a la carte.